Site of St.Theresa's R.C.Junior & Infants School, in place by the time the estate was finished around 1935. Old industrial works in steep-sided valley to the east of the council estate. Map evidence from the early years of the 20th century indicate that this works was part of Woodthorpe Colliery, complete with shaft and chimney. 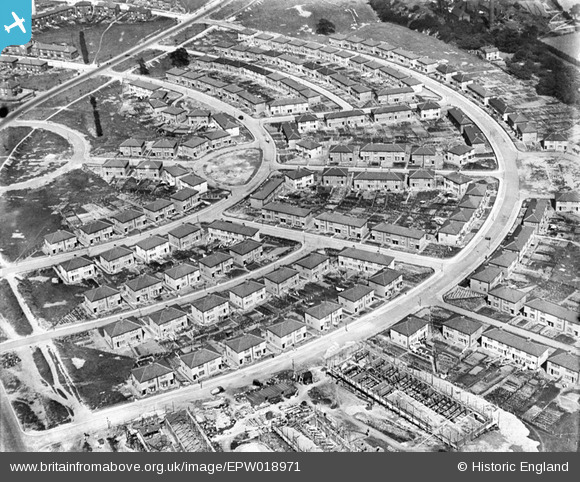 The Manor Estate in Sheffield was a direct response by the City planners to accommodate a rising population, from 409,000 in 1901 to more than half a million in the 1931 census. This increase had also been accentuated by the influx of munitions workers during the Great War of 1914-18. The first buildings were erected in 1923 by Henry Boot & Sons, who were awarded the contract for the first thousand homes, a firm that is extant today! By the end of 1927, 3,200 units had been completed and further developments continued into the following decade. The Manor, in its pre-war heyday, was considered to be a healthy place to live and TB sufferers were often directed there from the polluted Inner City districts and the heavily industrialised Don Valley. Older residents can recall with pleasure the improved housing facilities on The Manor and the semi-rural surroundings on the south-east side of the city. The Manor Estate in Sheffield was built at a time when the city was the largest in Yorkshire and the fifth largest in England (512,000 in the 1931 census). 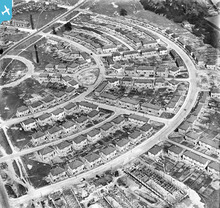 Situated on the south-east side of Sheffield, this estate contained over 30,000 people at its peak in the 1930s and was one of many interwar council housing developments attempting to alleviate the poverty of the inner city slums. Twenty years ago, this writer participated in a Geographical Association excursion around Sheffield, which included a brief tour of this estate, when the population had fallen below 10,000 and several of the houses had already been demolished, barely sixty years after their construction.